“There is so much demand by companies and governments trying to solve very complex business and global problems, and at the same time there is potential for problem-solving through Israeli innovation at a scale even greater than what we have seen in recent years” – said Dan Senor, co-author — along with Saul Singer (no relation to Paul Singer, founder of Start-Up Nation Central) — of the best-selling book “Start-Up Nation”. 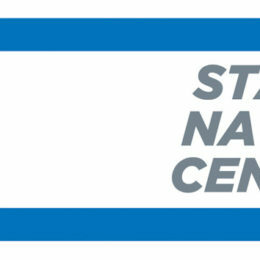 In a sense, Start-Up Nation Central was a project to actualize a central theme of the book – using Israeli technology to solve problems. Paul Singer’s idea was to bring these global challenges to the world’s top problem-solvers — Israeli innovators. Paul Singer wanted Start-Up Nation Central to be the GPS that helped stakeholders from around the world access and navigate the Israeli innovation economy. Not a fund nor a foundation, Start-Up Nation Central is a public service non-profit – and the service it provides in bringing together foreign entities and Israeli start-ups is free for both sides. Eugene Kandel is a CEO of Startup Nation Central. From July 2009 through August 2015, Kandel served as Head of the National Economic Council and Economic Advisor to the Prime Minister of Israel. He is also a professor of economics and finance at the Hebrew University. Professor Kandel will be a keynote speaker at VII Young Entrepreneurs Forum. Today Start-Up Nation Central (SNC) offers insights into 5,500 start-ups, 350 global R&D centers and dozens of innovation creation models operating in the Israeli innovation ecosystem. Foundation centralizes all the information available about Israel’s innovation ecosystem, which helps as serve as a navigator to all those interested in getting involved in this area.